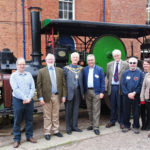 Herefordshire Council’s steam road roller, Emma, has been formally entrusted to the Waterworks Museum in Hereford. 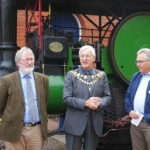 The event, held on Sunday 30 September, was attended by the Chairman of Herefordshire Council, Cllr Brian Wilcox, and cabinet member transport and regulatory services, Cllr Barry Durkin. Herefordshire Council first took delivery of Emma, who weighs some 13 tons, 8cwt and carries a 10 tonne compound roller, in the summer of 1920. She was only the fourth roller to be purchased by the council and she worked on the county’s roads for around 50 years, including on the A465, until 1970 and the building of the A44 by-pass at Bromyard. She was restored between 1998 and 2001 at Hereford Technical College under the supervision of Tom Walker and Peter Brewer, and between 2002 and earlier this year she had been looked after by members of the Herefordshire Traction Engine and Vintage Club at Much Marcle, where she was frequently seen on display at the popular annual steam show. 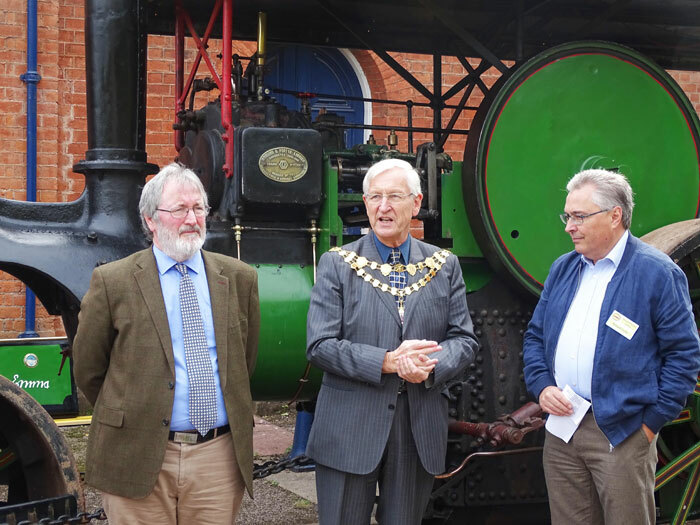 Cllr Durkin said: “It was a pleasure to formally hand over Emma to the safekeeping of the Waterworks Museum. We’re confident that their dedicated and passionate volunteers will do a great job of looking after this fine piece of Herefordshire’s history. We’re thrilled that so many residents and visitors will have a chance to visit Emma in her new home and reflect on the huge improvements to highways technology that have taken place over the 98 years of her life so far. Emma arrived at Broomy Hill with her Living Van by low loader on 2 July 2018 in time for the Museum’s annual Gala Day. 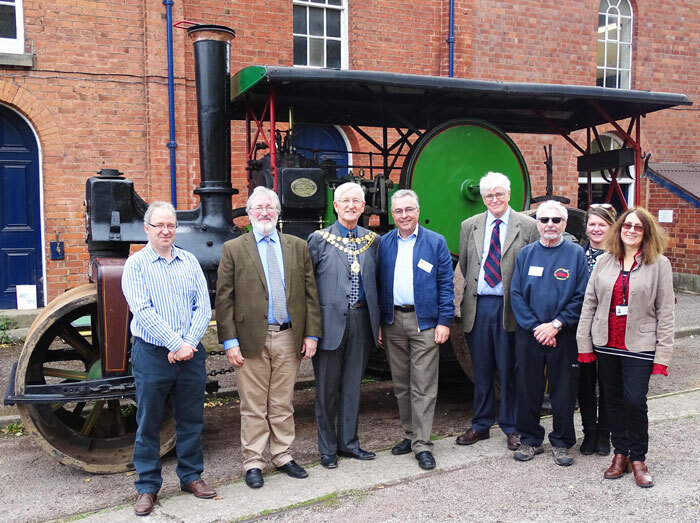 Since then, volunteer engineers have already completed many essential maintenance tasks and nearly 2,000 visitors have had the chance to view this fine example of a steam roller.